Best-selling used cars have ... more than 10 years! Best-selling used cars have ... more than 10 years! Best-selling used cars have … more than 10 years! He used-car market is getting stronger. In the past Month of May were sold in Spain a total of 167,224 cars and SUVs equipment, representing had a 17.34 percent more than in the same month of 2016. This increase was far above what they have gone up sales of new cars, which have remained at 1.11 percent, as reported by the National Association of Vehicle Dealers (Ancove). Sales of used cars, older vehicles are those that have gained prominence. And it is that in May, nearly 60 percent of cars sold (100,860 units) had over 10 years. Sales compared to May last year increased by 22.48 percent. However, the biggest increase sales, one 27.08 percent, occurred in the models between 0 and 5 years with 39,496 units reached 23.62 percent of the second-hand market in May. The increase in sales of younger vehicles denotes a increasing weight of zero kilometers acquired by the dealers themselves to be resold at a discount. In fact, the segment of vehicles between 0-5 years, groups mostly units of less than one year old from zero kilometers and repurchases of brands of car rental using the formula by-back. Cars between 5 and 10 years continue scarcer, and reduce sales by 7.62% over the same month of 2016. With 26,868 units occupied 16.07 percent of VO purchases last month. In the case of units between 0-10 years, 79 percent originated in companies (Dealers or leasing companies) and alquiladoras. Instead, in the case of models over 10 years, individuals contribute 65 percent of vehicles are resold on the market. 3 Best selling models CC.AA. National Vehicle Dealers Association takes time warning of risks involved in the parallel market of individuals, outside legal channels traders, since in most cases the sales are made by seudoprofesionales engaged in the unsecured reselling cars and failing to comply with other legal or tax obligations. According to the data handled Ancove, almost half (45.6%) of used cars in the Spanish market are sold by private cases, according to records of the DGT. Of particular concern if one considers that the vast majority (80% percent) vehicles that sell these particular cases over 10 years old and the remaining approaching that age. These vehicles often suffer from irregularities, as many have not even passed the ITV and even they are not current in paying fines or cases weighing embargoes on cars are given. "For this reason, says the president of Ancove, Elías Iglesias, the Government should face reality and regulate a parallel market increases pollution levels and road safety, because the cars do not pass the checks to which they are subjected traders ". 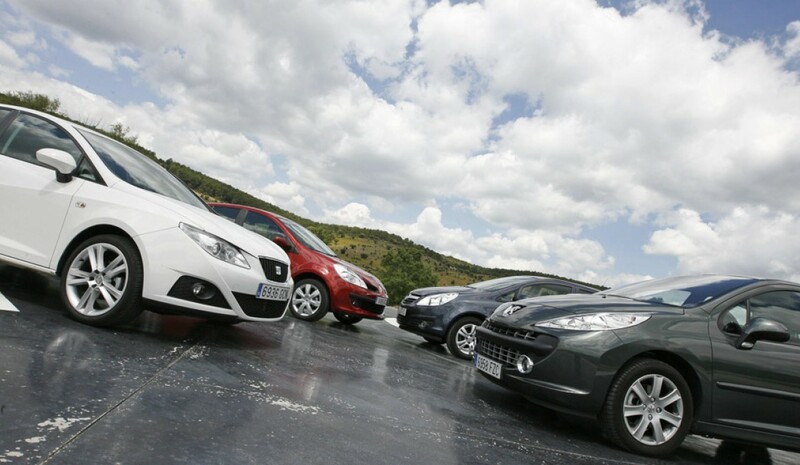 The best-selling second-hand market in May was the model Seat Ibiza, with 6,660 cars, followed by Volkswagen Golf, with 5,807, and Renault Megane with 5,251. However, the ranking varies by regions and provinces. In Aragon, the defendant in VO model was the Opel Astra; Canary Islands, the Volkswagen Polo; in Castilla La Mancha, the Citroen C3; and Valencia, the Ford Focus.